As a WordPress user, you always have to look for tools to set your site apart. 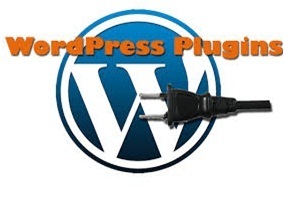 With plugins you can customise and easily change up your site. If you do not want to have to come up with these changes, using plugins will help you; so, if you are looking for the best plugins to use with your site, there are a few that you should try, for easy setup and use, and the easy modification and changes you want to make. If you have ever had spammers or trolls leave comments, you no longer have to search for them and remove them on your own. With this plugin the process is done for you, and these comments are removed, to ensure only your true readers and followers leave replies. Instead of having to do meta tags, and other descriptions yourself, this plugin does the work for you. Since high rankings are what you want, this SEO plugin takes the guesswork out of it for you, and takes all necessary steps to ensure you are ranking higher with each new post. By creating static versions of HTML pages, this plugin will speed up your blog and posts. It will allow readers to load faster, and get to the content faster; today, this is what SEO looks at, so you need a page that loads in no time, with this plugin you are going to get it when you use this plugin. If you need a great contact form, this plugin creates it for you. Using CAPTCHA language, it will also filter out spam, and ensure that contact page is properly laid out, for individuals who are trying to reach you through the content that you submit on your blogs. For your blog to excel, it has to be read; this means mobile, not only PC users. With this plugin your mobile readers are quickly and easily able to load the blog, meaning more mobile viewers are going to want to read it. The fact that this creates a unique xml sitemap, makes it stand out; it allows you to make the blog easier to find on top search engines. It allows site maps to look at your blog at all angles, and properly place it on their sites, for higher rankings. If you post new content, the plugin will automatically update it through search engines for you, to ensure highest rankings at all times. I have used each of these, and since doing so, blogging has become something that is far more enjoyable for me. So, if you are looking to create more unique, and better quality blogs try these out. Try these out to see if they help you and your blog, and if you know of any new or updated versions, please let us know about the latest products that are out there to help create a more uniform, and faster blog. This post was contributed by one of our regular readers Mo Raja. He generally blogs within the technology, gadgets and online marketing topics and works for a mobile phone specialist insurer Protect Your Bubble. The guest post however is solely the opinion of Mo and not endorsed by any other individual or organisation.